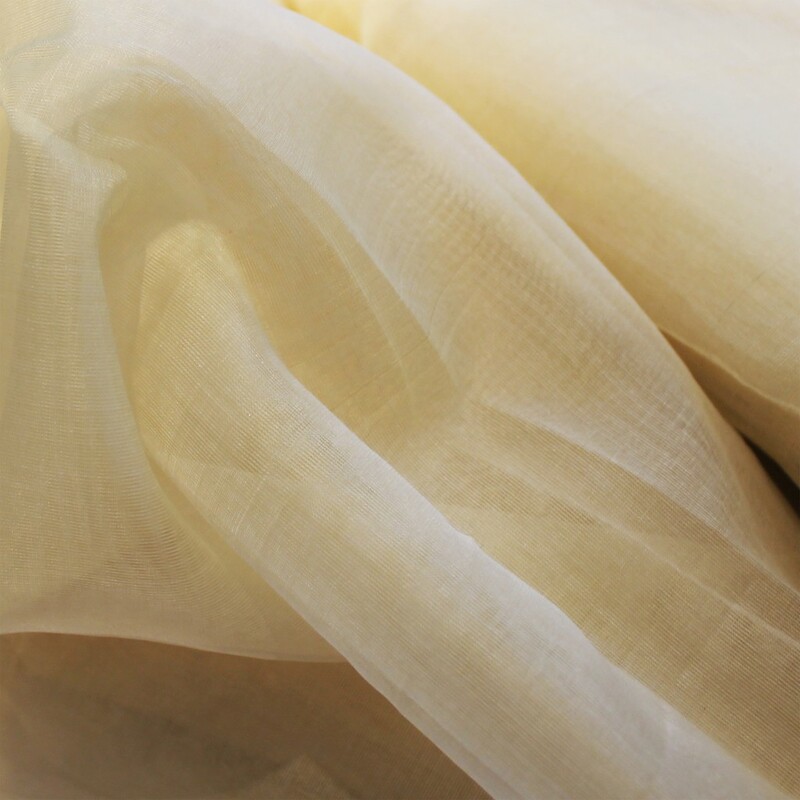 Organza is an incredibly beautiful fabric, and one that can make a garment or interiors look absolutely spectacular. Some people have told me, however, how they rarely venture to use it because it seems far too difficult to sew with. 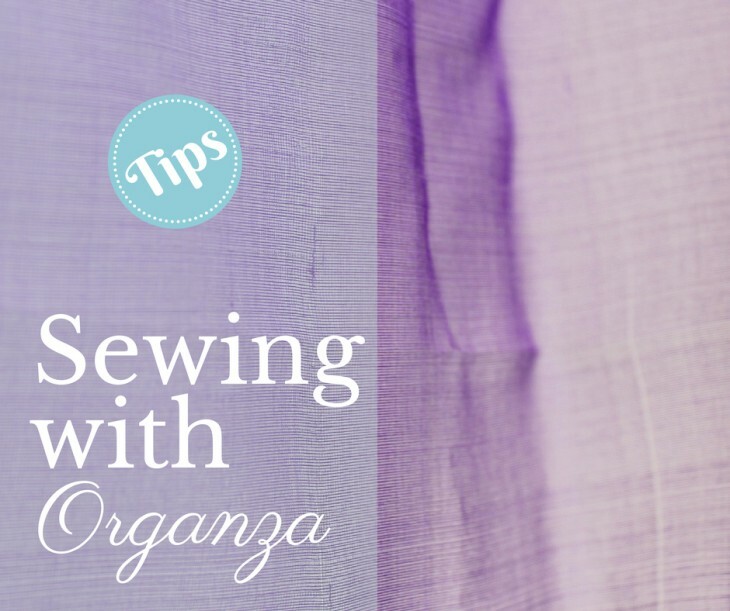 You do have to keep your wits about you, of course, but organza is a great material to use, and if you follow these hints and tips you should find yourself totally at home with organza before no time! Firstly, if this is to be a hand wash or machine wash product, you need to ensure that you have washed your organza before you even think about sewing with it. After the first wash, it can shrink, and not always the same in all directions! So many sewers have readied themselves to try their very first organza project, love what they have created, used it, washed it, and cried over it – completely destroyed. Some people prefer not to wash their organza products, as it can change the look and handle of the fabric. It usually makes it much softer. If this is the case, then this first step isn’t necessary as dry-cleaning won’t shrink the fabric. Sheer fabrics fall into two distinct categories — soft sheers and crisp sheers. Soft sheers, including chiffon and georgette, have a soft hand and drape well. Have a look at my tips for sewing chiffon I wrote recently. 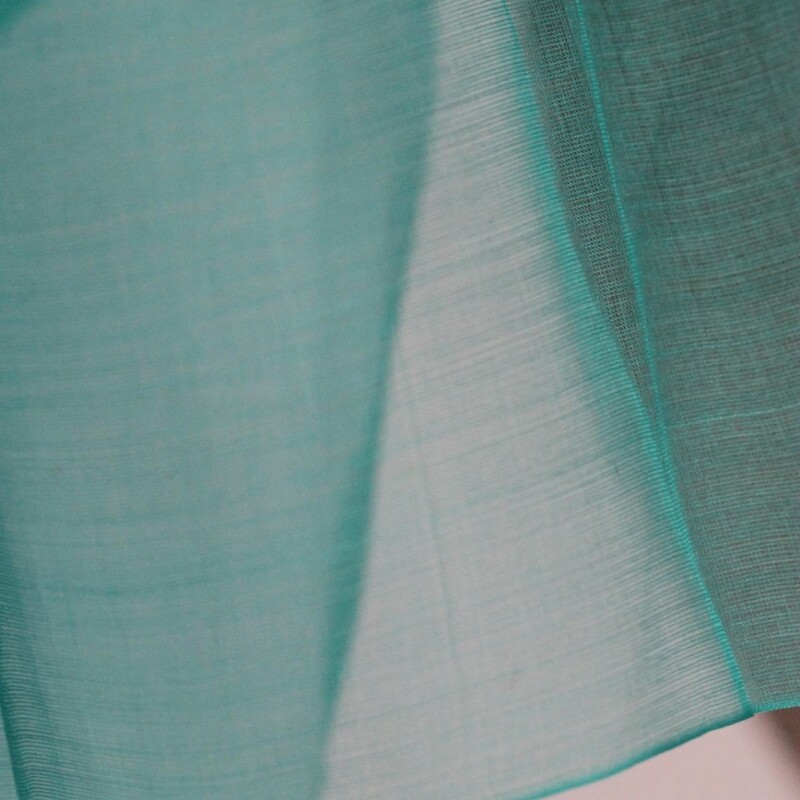 Crisp sheers, like organza and organdie, are slightly stiffer and form more stiff folds, but have the advantage of being easier to cut out and sew. If you do have any trouble cutting organza, pin a layer to tissue paper or newspaper and cut as one. One slightly less dangerous way to do the above, but requires some equipment, is to use a hot knife – like one you might use to cut stencils out of acetate. This has the same effect by melting the edges and sealed the fabric to keep it from fraying out. There are a couple from the UK like this Weller Woodburning Kit or for the US like this Demand Product Fabric Cutter & Sealer Hot Knife. If you’re not into the “pro” method, then use a small amount of Fray Check before you sew. This will keep the hem from fraying too badly. You can get fray check at most craft stores – it comes in a little bottle and just seals up the edges with a clear liquid. It is quick drying and you can even put it on the edge and then trim any excess fray that’s there. Please test this on a scrap if you decide to use it, as some Fray Checks will leave a cloudy residue that can show. If you want to make sure that your organza stays easy to work with as you continue through your project, you could starch. It may sound a little strange and even counter productive, but by the time that you have finished working with it, the starch would have worn off, and it can make a huge difference with the fabric. It is pretty easy to get your hands on iron-on starch these days, so stock up before you start your project, and iron it on – after you have washed it, of course! When choosing the sewing thread, think about the end product – how durable does it need to be? 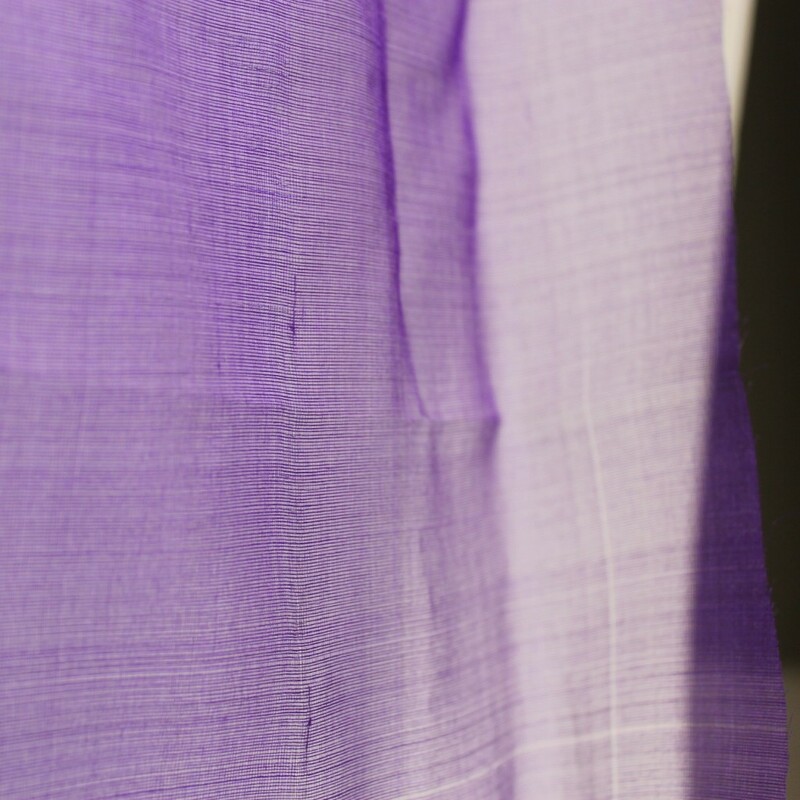 Silk is an incredibly durable fibre, so you can make some incredibly long lasting pieces. For products that won’t be thrown around a lot, cotton thread is a great choice. For products that need a bit more strength, consider investing in synthetic thread, which is much stronger and firmer. When you choose your needle, you need to think carefully. Make sure that you use a new needle that is very sharp, and only one that is a size 11 to 14. Anything smaller will be too lightweight, as organza is quite a stiff fabric to sew with. Anything larger will create holes that are simply too big for the fabric, and it will make the fabric bunch up once it is completed. Using a sharp needle will also prevent any fabric puckering. Use a long stitch length. Organza puckers quite easily, so lengthening the stitches can help solve this. Each sewing machine is different and each fabric might react differently, so I would recommend sewing on a scrap piece of organza to determine how long the stitches should be before you start. If you find the fabrics are too slippery as you’re sewing them together, I would recommend basting (tacking) the fabrics together first – time consuming, but well worth it. Enclosed French seams, narrow hems and bound edges work best with sheer fabrics, as unfinished seam allowances and heavy hems detract from the delicate, see-through look. Don’t use enclosed or French seams on curves, they will need binding. And voila! You are ready to successfully sew with organza. Organza really isn’t that difficult to work with, as long as you sew carefully and watch what you are doing. Take pride in your work, and I look forward to seeing your next exciting organza project! If you like these articles, then why not sign up for the monthly email where I round up the best articles? Just add your email address to the “Send Me Your Crafty Emails” box.